Happy Cyber Monday 2018, basically the Superbowl of Holiday Shopping! Below you will find a round up of all the steals and deals across the world wide web! Be sure to comment below if there is anything that I can help you find today! An additional 30% off Sale items with code WOW18! This includes the infamous Spanx leggings which are under $50! 50% off your entire purchase + FREE SHIPPING when you use your ON card (code: CARD). 40% off for non card holders. Here are a few pieces I have and a few that I have my eye on. They have super cute slippers right now for kiddos to! 15% off sitewide + free shipping TODAY ONLY> They are having Cyber Week with various deals each day this week! Up to 60% now through CYBER MONDAY! This is a great time to stock up on the things you’ve had your eye on that might be more than you normally want to spend. 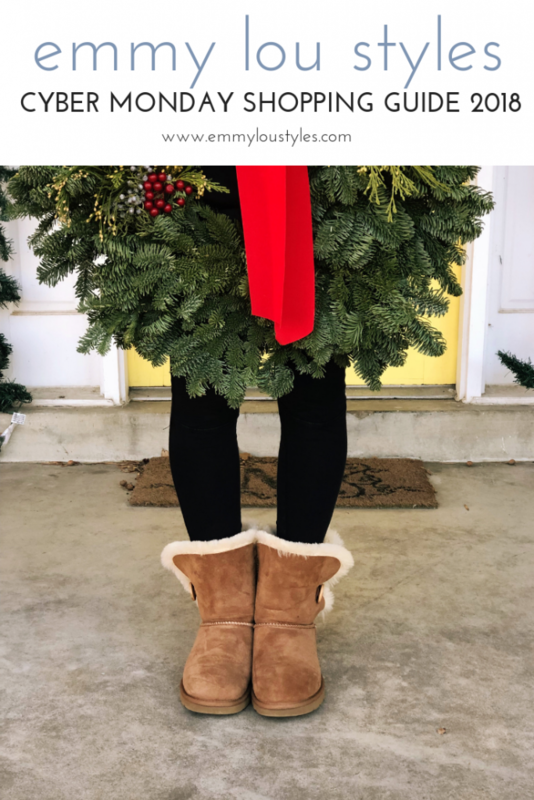 I’ve rounded up some of the items I own from here, as well as pieces that I don’t have but would make great gifts or for you! Get 25% off your purchase with code SHOPALLDAY! It includes some of their amazing denim too! They also have a special collection just for Cyber Monday. If you haven’t tried Ever Skin yet, now is your chance! SO many great deals this weekend. All of these would make great options for the beauty lover on your list! 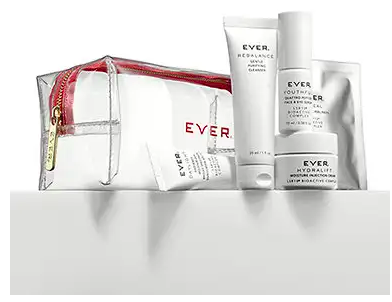 Ever is a relatively new skin care and make up line that uses good for you ingredients with PROVEN results! I’m new to using their products but there are already several that I’m loving, all linked for you below! This is THE BEST deal if you are wanting to try this brand out! You get all the essentials in a mini trial size for $39! Guys, this one is a no brainer! Grab it for your mom, wife, or sister and you’re already done with the shopping! It comes with a staple pair of Stella and Dot earrings! 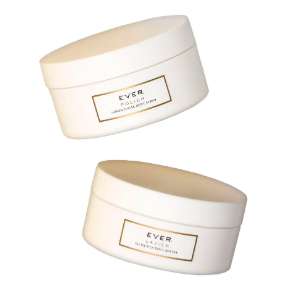 Ever’s Lavish Body Butter had a 2,000 person waitlist when it came out a couple of years ago. Your dry winter skin will thank you if you put this on after your shower! It’s thick, but not greasy and the scent is fresh and subtle! This little set is the perfect stocking stuffer! 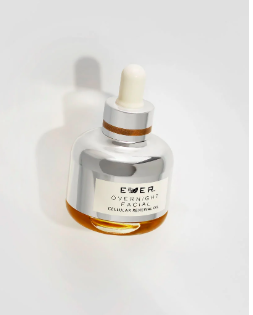 If you’re looking for a great facial oil that isn’t greasy and works wonders, you MUST try the Overnight Facial by Ever. 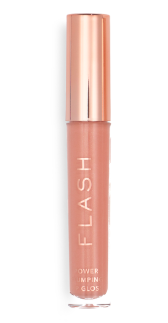 A great neutral plumping lip gloss for all skin tones! This would make a great stocking stuffer! JCrew is currently running 50% off your entire purchase with code CYBER! I have really been loving their stuff lately. 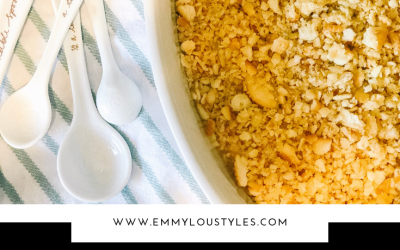 I snagged a couple of things recently that I think you will love too – all linked for you below! 30% off Sitewide + FREE SHIPPING with code CYBER30. Currently 25% off EVERYTHING with code EPIC! 30% off + Free shipping! No code needed, the offer will apply at cart! This is your holiday outfit HQ for your littles (and you too)! So many great inexpensive coordinating and matching pieces for your littles! Get 30% off your ENTIRE + FREE SHIPPING on orders over $100! This is a great place to look for unique gifts for the coworkers, teachers, and friends on your list! Great post. You provided so many good options to choose from. I definitely need to start my Christmas shopping! I know, I’m so behind too!